The price of installing a solar system has fallen dramatically in recent years, making solar energy a smart and financially advantageous investment with significant energy savings that last for years. As a society, we are becoming more conscious of climate change and installing solar energy sends a clear message to your community that you're part of the solution. SolReliable's expert, in-house teams of solar panel installers build home solar energy systems with the industry's top solar panels and equipment. We work with you to design a custom solar system for your needs and will explain all your options so you can make an informed decision. We want you not only to be informed but excited about your decision. That's why we take the time to find the optimal space on your roof or custom built solar patio and introduce you to the many options in panels, inverters, monitoring, and financial programs that enable you to buy or lease your systems and become cash-positive. Electrical bills are a major expense for all homeowners and Southern California is no exception. Based off of your annual electrical needs, SolReliable's certified energy consultants can propose and install a solar system that offsets most or all of your electric bills for decades to come. Our solar proposals are based on conservative calculations of how much your solar system will produce. This enables us to offer you an unprecedented production guarantee in addition to the manufacturer's guarantee. SolReliable's solar systems can help you meet your home's electric needs, save on your bills, and reduce your environmental impact at the same time. Installing a solar photovoltaic (PV) system dramatically reduces or even eliminates your power bill during your solar panels' 40 to 50 year optimal lifespan. As electricity rates hike, your savings will grow over time, too. Because we use solar panels with the lowest degradation rates in the industry, your solar system will produce at peak levels for the longest amount of time. From Los Angeles to Calabasas, Sherman Oaks, Northridge, Pasadena, and beyond, many California homeowners want to reduce their reliance on polluting fossil fuels. Doing so helps to promote a cleaner environment and greater energy independence. SolReliable helps homeowners to join the green revolution through whole home energy solutions customized to your home and project needs. In a day and age where we often wonder how just one household can make a difference during our global energy and pollution crisis, going solar sends a powerful message to your friends, neighbors, family, and community that you're part of the solution. A growing number of Southern Californians realize that investing in a solar energy system is a wise, low-risk investment. Due to the significant cost savings of our solar energy systems and our unbeatable prices, your return on investment when you purchase and install a solar system with us can rival or beat many traditional investments. You have to pay the utility company regardless. Thanks to the government's 30% federal tax credit and your local rebates, choosing solar is one of the best investments you can make that in the right program can result in positive cash flow year one (or at worst, within 5 to 7 years). Frankly put, if we can't save you money, we won't install the system for you. Home buyers appreciate the concept of owning. You did so to build your equity and investment. So why rent your electricity at a high cost when you can own your power through solar? Our solar systems put the reliable in SolReliable because we select only the most proven, high-quality equipment matched by the industry's longest warranties. These warranties protect your investment for many years. Unlike our competitors, we not only stand behind the product warranties if solar panels or equipment under-produce our estimates, we offer an unprecedented production guarantee that states if your solar system is underperforming our original estimate, than we will install panels to offset the difference at company cost. Our solar systems can come with advanced monitoring systems with alerts -- accessible even from your phone -- and we can track your panel production, too, so you'll always know you're up and running. The U.S. government offers a federal tax credit for 30% of the cost of your solar system. 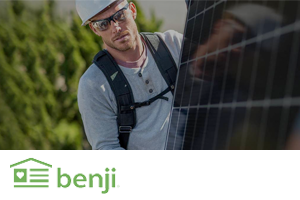 This exceptional opportunity dramatically reduces the total cost of installing a solar system. A tax credit is different than a tax write-off and is more lucrative, as it results in a dollar-for-dollar reduction in federal income taxes owed. If you install a $30,000 solar system, for example, the net solar cost at the end of the year will be reduced by an estimated $10,000. Additional rebates and incentives can also help to reduce the cost of your PV system. SolReliable revolutionizes how solar can work for your home by analyzing and addressing all of the ways we can reduce your electrical usage through ENERGY STAR® certified energy efficient home improvements--from solar thermal water and pool heaters, COOL roofing, HVAC, heat-resistant COOL paint for your walls and Reflect-Tec paint for your roof, insulation, artificial grass, pavers, pool pumps, tankless water heaters, and more. This means we can mostly ensure you achieve 100% utility bill reduction (coupled with product-specific rebates) and even reduce the number of panels you need to offset your bill. In short, a greener, cleaner home that saves you the most money and offers the highest ROI. SolReliable is committed to helping homeowners tap clean sources of energy and create cash-positive whole home energy solutions. We get to know our customers from Los Angeles, Thousand Oaks, Pasadena, Orange County, Anaheim, Glendale, Santa Monica, and beyond so we can provide the best solar energy solutions specific to each household's unique needs. 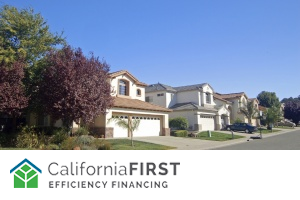 We also offer a variety of attractive financing options and ownership models that make solar ownership less of a financial burden. Easy Solar Design: We install solar in-house with a highly-trained crew, conduct shading analysis. We can assess and install any roof, and do not start the job without your approval of your guaranteed AC production. 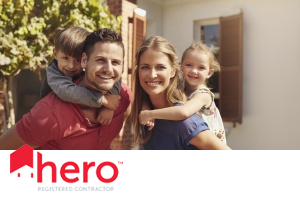 Peace of Mind: We protect you with an unprecedented solar system production guarantee in addition to the manufacturer's guarantee, ensuring you're covered bumper-to-bumper. Expert Analysis: In addition to using the most advanced solar engineering technology to size your systems correctly and achieve the most monthly savings and ROI, we also utilizing shading specialists, and in-house expert roof installers to ensure your system is fully functional and secure. Your Home at Your Pace: We will not install the system without your written approval of the final blueprints, which occurs after the consultation and shading analysis. We have no "buy now" gimmicks or pressure tactics -- installing solar is a logistical, financial, and legal process that we will keep you informed about every step of the way. Our consultations simply supply you with knowledge so you can base your decisions on the facts and move forward on your own time. 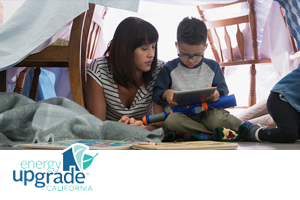 Our commitment to quality has earned us a strong reputation throughout Southern California for delivering high-quality installations and reliable solar energy systems. Just ask one of our customers. Want to take control of your energy bills? Don't wait! Make the switch to solar this year. Our experienced solar and green energy consultants are available to begin your no-cost consultation today. Get in touch to get started! Power your home with green, renewable energy. We'll help you save on solar!